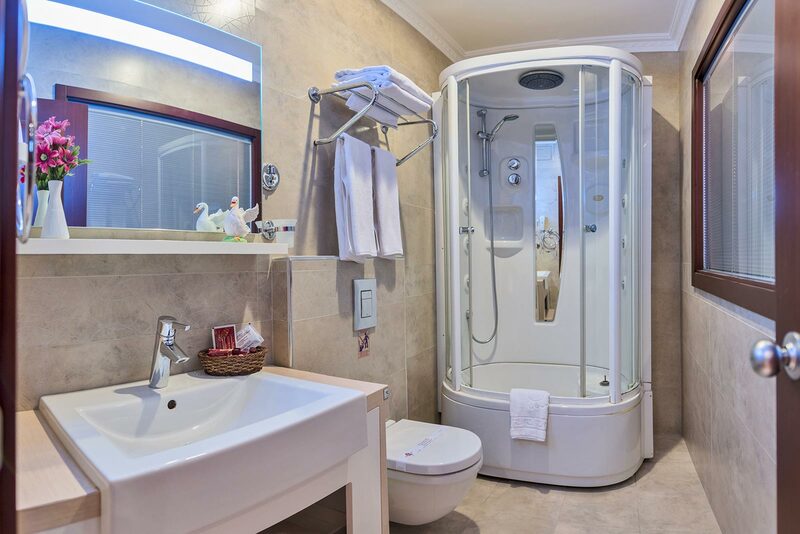 The Suite Rooms are elegantly designed in Ottoman style, spacious and comfortable. 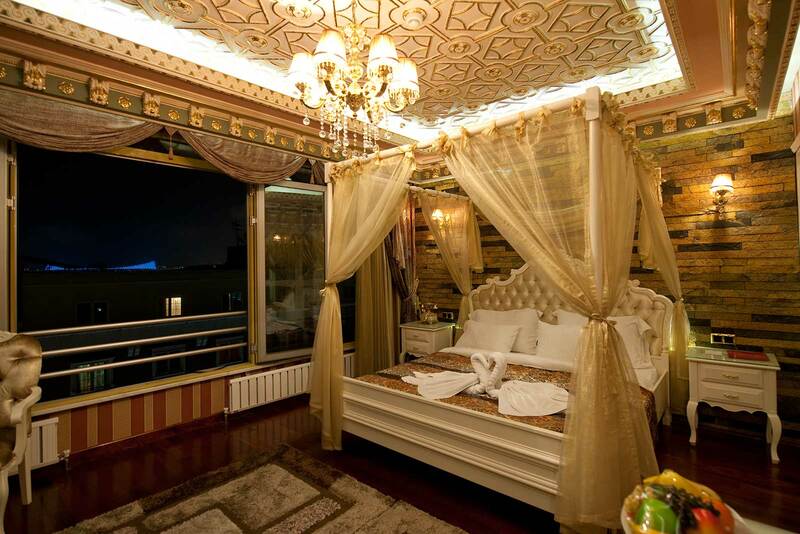 The room size is 20-sq-meter with fabulous views over the Bosphorous strait, Topkapi palace and St. Sophia. Bedding type is 1 double bed. 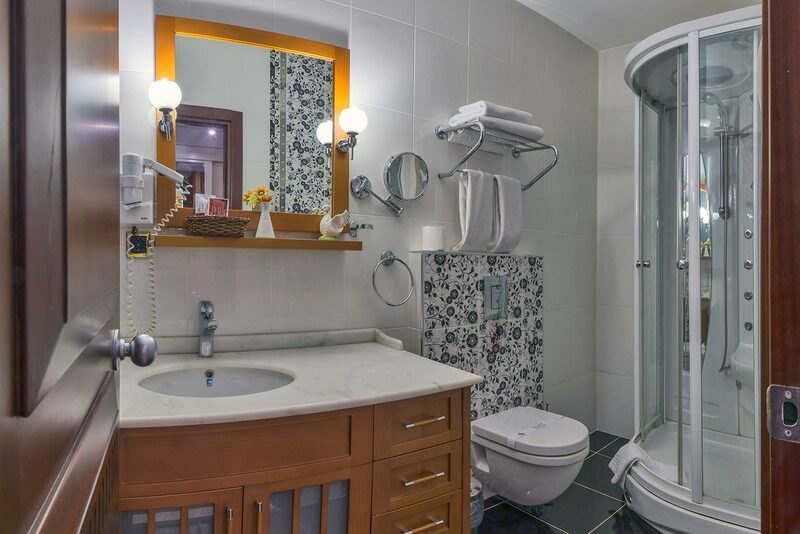 All rooms have free WiFi, 80-cm LCD TV with satellite channels, coffee/tea maker and minibar, memory foam bed and blackout drapes/curtains, private bathroom, bathrobes, and a bathtub or shower with a rainfall shower head. Rollaway/extra beds available on request. The rooms are non-smoking and renovated in March 2015.